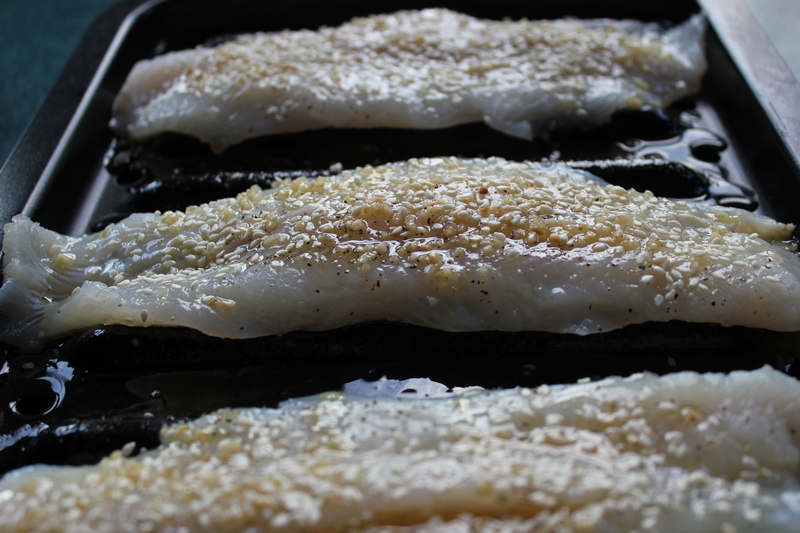 I Love eating fish and hope to do a lot more this summer. Swai is the choice at this time because it is readily available and really does cook up well. 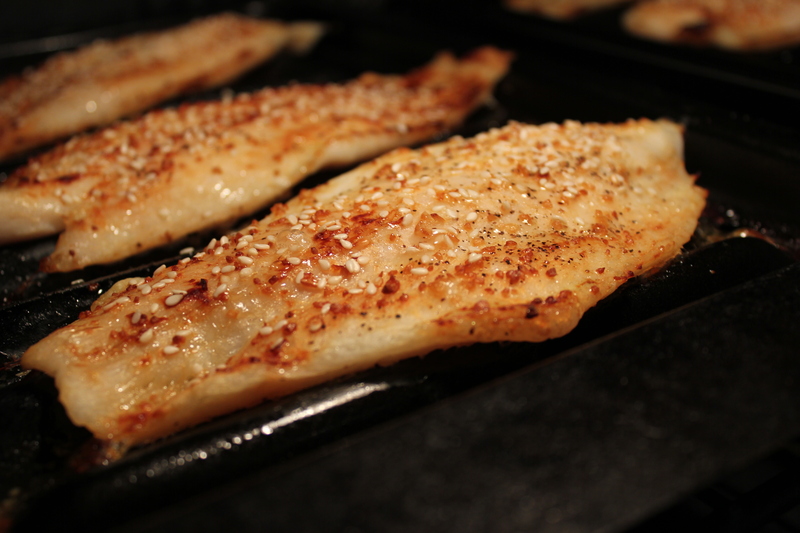 Spray a broiler pan so the fish won’t stick salt and pepper the fish on both sides and place on the broiler. Whisk together the remaining ingredients with the exception of sesame seeds. Pour over the fish and shack on some seeds. Broil on lo about 8 inches from the heat source for 20 minutes or until white and flaky. This would be great with a salad, or some lemon rice. I served with the previous recipe of Butternut and apple soup. 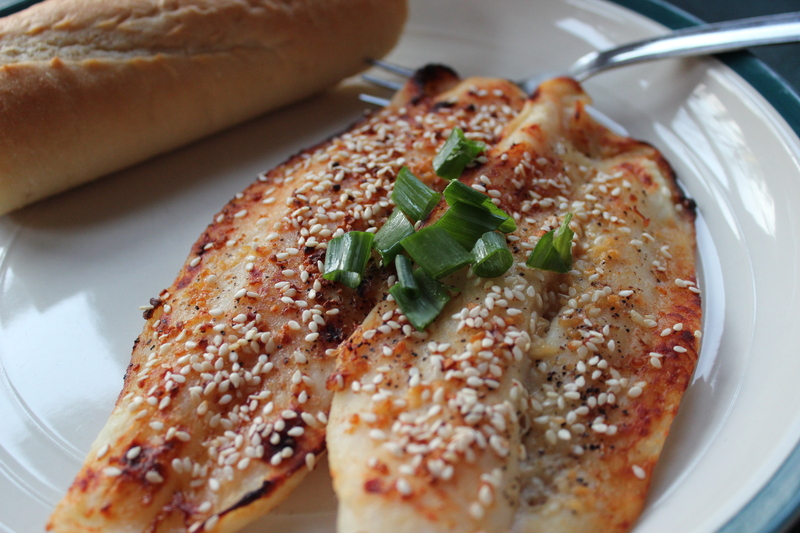 Thanks @Lauralovinglife for trying the tilapia! We love your blog. Great presentation 🙂 Cheers !